Who Else is Looking for H1B Visa 2014 Sponsors? So, are you looking for H1B visa 2014 sponsors. You are not alone. You maybe aware that USCIS will accept H1B Visa 2014 application from April 1 of next year. Read the following comments posted in the blog in recent days. Here are some of the questions posted in the blog about H1B Visa sponsors. Do you know of any consultant who can file my H1B visa. I am a BE holder in IT, have 5 years of experience in Testing but I can take up a development role as well. Provide me with contacts who can get me a H1B visa. My current employer is not filing my visa even after many promises for 5 years now. I am currently on L1B visa. Is there any way to fill the new H1B visa for me in FY 2014? Could you please send me the list of genuine H1B consultants or sponsors? Hi, This is Anita, i just need some info from you since i also did Masters in Microbiology from India. But here I’m in H4 dependent visa. So did you get H1 Sponsor, if yes can you please let me know the company who has done H1 transfer process for you. I am also looking for H1B visa 2014 sponsorship in my Microbiology field as I also have 3 years of work experience in India. This is Usha. I completed my Post graduation in India. Got a 6 yrs of work experience . Came to US on H4 dependent visa, looking for visa transfer H-4 to H1B visa. Looking for H1B visa 2014 sponsors in Columbus, ohio area. Please help, if anyone now sponsors in Ohio area. I’m a Masters in Chemistry from US and currently working in NJ on a long-term contract. I on F1 visa, and looking for H1B sponsorship. Please help. I have done my Bachelor’s in Pharmacy from India and doing certification in biotechnology and bioinformatics in USA and iam about to complete my certification program within a month and looking for internship.Can u pls share information regarding how to get internship and what kind of jobs do i get and h1b sponsorship. I have experience of working as Chemical engineer in US for 4 years. I am currently looking for opportunity with potential h1b sponsorship. I have over all work experience of more than 5 years.. I am also looking for H1B sponsorship.I have been working with SAP Labs India and have total of 4.5 years of experience.If anyone is able to find a consultancy that sponsors visa it would be a great help if you can share the details. You can see from above comments, there are several folks who are looking for H1B Visa Sponsorship 2014. But, in reality its tough to find a H1B Visa sponsors. USCIS is looking for H1B Visa Fraud more than ever. Department of Labor can ban companies from employing H1B workers, if they violate Labor laws. It’s tough for H1B Visa sponsors and consulting companies to prove Employer-Employee relationship when there is no projects or client letter. If you are located outside USA or trying to transfer from H4 to H1B, then it’s tough to find H1B sponsors to file your H1B Visa on April of next year. Volunteer for job related to your background. Consider attending school in F1 Visa. It will be easier to find H1B sponsors or work from F1 Visa with OPT. 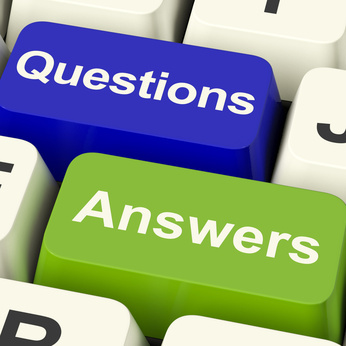 Do you have any questions about finding H1B Visa 2014 sponsors? I am Dr Deepa, have done MBBS, MD in Pharmacology from India, presently working in Quintiles, a Clinical Research Organization, India. My husband is a software engineer has got H1b visa in october 2015 through his company IBM and they have provided me H4 visa. we are planning to travel to US in the next month i.e., Feb 2016. Kindly guide me whether I can apply for EAD as soon as my husband starts working from US. If not, what is the procedure to meet eligibility criteria to apply for EAD. Also kindly let me know any sponsoring companies or consultants for CRO/pharmacology jobs. It’s going to take atleast 1.5 years for you ot get H4 EAD. Tha’s an aggressive timeline. Thanks a lot for your response Raghuram.. It would be very kind of you if you would provide me the details/contacts of any H1B visa sponsoring companies or consultants for CRO/pharmacology jobs. And also please let me know how the job opportunities are for Pharmacologists in Phoenix, Az. Looking for H1b Visa sponsors for Electronics Profile. My husband has valid H1B Visa and we woulkd like to move to US this year. I did my masters in Microelectronics not in US and have 5 years of work experience in it. Now I want to apply for H1 B visa this year and looking for H1 B visa sponsors for my profile. I have got few consultancy details, but they will sponsor only for IT profile. If I dont get sponsors for H1B, I am planning to join university which can offer CPT from first semister. It will be easy to find a sponsor while you are here in US on H4. I need more details and situations like this is better discussed via a phone/skype call. Hi, This is As, i just need some info from you since i also did Bachelors in Microbiology from India. But here I’m on H4 dependent visa. I am looking for H1B visa consultants who can sponsor my visa in my Microbiology field as I also have 3 years of work experience in India. I am looking H1 Visa sponsorship having 8 Yrs. of Experience. And have valid B1 Visa. I got a job from a company, but they don’t provide H1b. I will like to have consultant company help to get H1b and work for that company. Your site is very helpful….I m on h4 visa…so I want to apply for ms but I don’t know how to start…like I m little confuse whether I will try for gre or I will go for any community college..plz help me out.. I am in US on F1 student visa and I have a Doctor of Pharmacy degree from India. I have acquired FPGEC and as per NABP process, I have to complete internship for 1500 hours at a Pharmacy to become a licensed Pharmacist in my state. I found one employer, A Pharmacy who has hired me as a Pharmacist-Intern and filled for my H1B on April 01st, 2013. My case got selected through the lottery also. Now, I have received a notice from USCIS saying that my employer has filled for a Pharmacist-Intern position and that position does not requires a specialized Bachelors degree therefore it does not qualify for H1B. They have asked my employer to provide further evidence or arguments for my case. The problem is that in US a Pharmacist-Intern position is taken by students in Pharmacy school when they are working towards their Pharm-D degree and Only Pharmacists are required to have a Pharm-D degree. I want to know if any other foreign graduate pharmacist faced the same situation? Is there anyone on this forum who has been filled for H1B on a Pharmacist-Intern position? Is there any chances for freshers(no experience) to apply for h1b? I m an electrical engineer..I m on H4B visa…n i have 4 yrs of electrical utility experience.I wann to apply for H1 visa…can anyone help for process to get H!B visa or any consultancies or any company who sponsor the employee?? I have a question I am a fresh graduate in Accountancy in our country and I wanted to know if there’s a chance to get an H1B sponsor with my status. If what is the minimum year of experience I need and if US companies are willing to sponsor accounting majors. I am presently in India. I have total 7.1 years of IT experience. Now i am looking for H1B. Can some one suggest me the H1B processing consultancies details. can some one please let me know any h1b sponsors details. I am currently on my CPT which runs for a year, I learned that I cannot get an OPT since my CPT is so long. My question is– will I be able to get a company to sponsor my H1B straight out of college without work experience since I cannot get an OPT. My major is Medical Laboratory Technology. Thanks! Hi, just now recived a mail from Consultancy (XYZ Corporate Solutions hiring for Visa House in United States (U.S) it is a hyderbad based consulting from ) that they will provide Internship in US as Assistant Pharmacist on J1 visa for a period of 15 months. once if our visa is approved and after completing the 15 months internship in US, they are telling that I am eligible for apllying H1B visa. In the mail they have mentioned like this ” H1-B eligible after completion of internship as per prevailing rules.”. So my doubt is whether I am eligible to apply for H1B after the internship, is der any special criteria for J1 visa holders for apllying H1B visa. please suggest me …. I am on L1 B working here for more than 2 yrs, looking for H1 B sponsors. Could you pls suggest some H1 B sponsors for 2013-14? I am on H4 and planning to apply for H1B in April 2014. But these days most of the consultancies are asking for client letter. I have been in touch with a consultancy that is suggesting to join school on F1, apply for CPT, get job and then apply for H1 B. Is this approach feasible? I have no idea about student visa and CPT. Can you please tell the whole procedure for F1, CPT and also suggest if this approach worth time and effort spending and what could be the complexities in doing so? Also, can you tell what is in-house projects and the companies that do these kind of projects. Please advice. I may need your advice. I am in the middle of application process to Us universities for fall 2013. I already took GRE and Toefl with good scores. I am applying for MSN(masters of science in nursing). . . as i have been reading on internet, that getting an H1b after study is getting extremely difficult these days. . Is it worth giving a shot ? I mean i will be putting a huge amount of money and time .. . .that would be really heart breaking if i could not get to stay and work after that. To be mentioned i will be leraving my job that is paying me fairly well here. Male- Didn’t file yet I-130 for Spouse, because message was if any I-130 is pending, Embassy will not issue any non-immigrant visa. So, please advise- Should male file for I-130 now, which will be on process and it will not affect any Non-Immigrant Visa. Hmm thanks for the info HSB. I’m on an H4 too. You suggest going for an MS program so that we can work instead of trying for an H1B ? If you are on H4, in 6 months to 1 year EAD will be given based on few conditions ( if H1b is on 7th year with I-140 approved). Masters is good way to exposure. Also, you can try for jobs in colleges, universities near your place. I see from your replies you are being very helpful. Mine is a kind of very tricky situation. I finished Masters in US and due to circumstances I am on H4 visa now. Is there a way out. I have used my OPT thing and if i indeed think of going to school its only PhD and thats another 4-5 years. I am totally perplexed with this situation as to what I should do. Kindly advice.